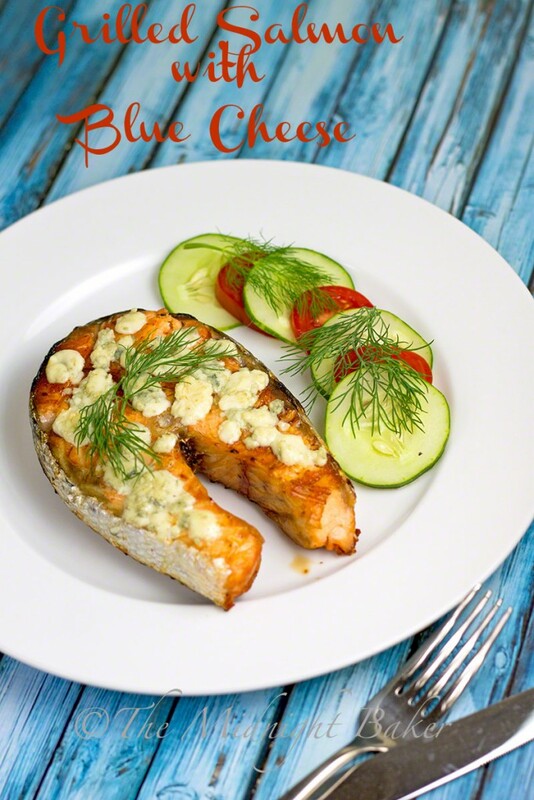 Grilled salmon topped with melted blue cheese. 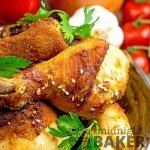 Simple, gourmet and delicious. I love fish. I know that sounds weird but I do and always have. Reason I don’t eat it much nor feature it here is the cost these days is OUTRAGEOUS. However I do decide to treat myself every now and then. The fish I love most is salmon. I prefer the steaks and wild-caught, but will take it any way I get it 🙂 My mother heard of this trick with the blue cheese ages ago. 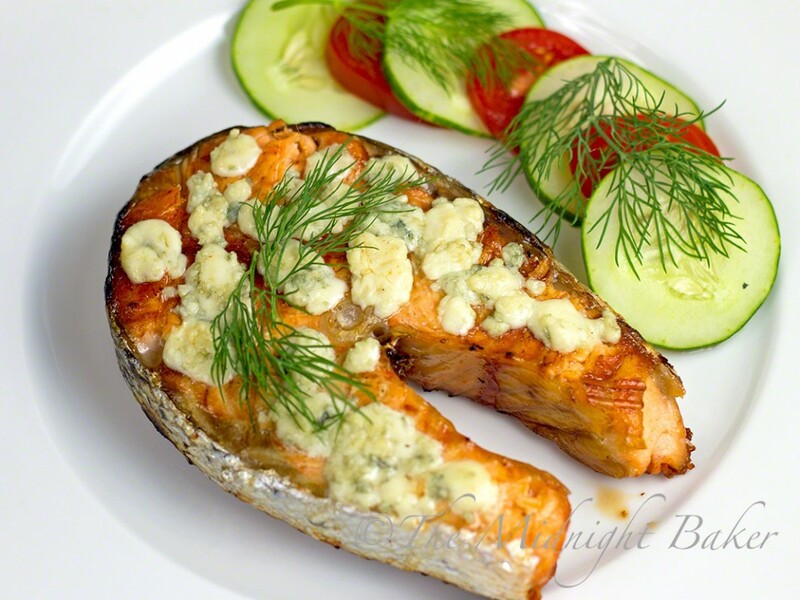 She’d broil the salmon (in the stove not on the grill–you can too if you prefer), then after topping with the crumbled blue cheese, she’d pop it under the broiler for a few minutes until the cheese was bubbly and starting to brown. I have to say that part is the better method when it comes to the cheese. Done on the BBQ grill, it merely melts. As far as heat goes on the grill, my Napoleon grill has a built-in thermometer so I know the temp. But if yours doesn’t, you can use the “steamboat” method. Hold your hand about 1-2 inches above the grill grid then you count, “one steamboat, 2 steamboat,” etc. A high grill you have to pull your hand away almost before you finish saying “one steamboat.” A low grill is if you can keep your hand over the fire for 5 steamboats. 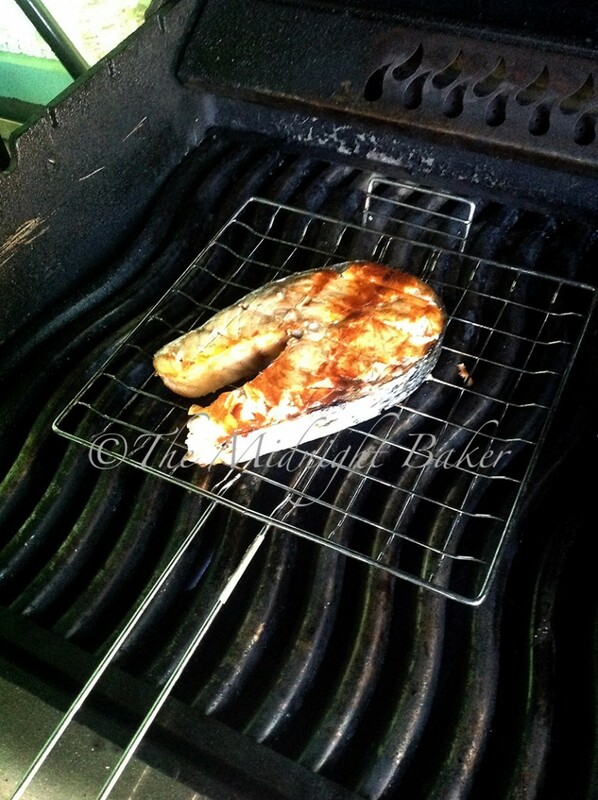 I tend to use a grill basket with fish since it’s so fragile and won’t fall apart when you go to turn it. You just flip the basket it’s enclosed in. 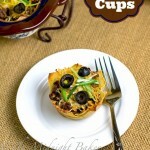 It’s also good for small food that would fall through the grate and terrific for hot dogs and burgers. I consider it a “must have” BBQ accessory. Rinse salmon under cold water. Pat dry with a paper towel; set aside. Preheat grill to high heat. I have a thermometer built into my grill so I preheat until it’s 400 degrees F. However, if you don’t have a grill with a built-in thermometer, you can use the “steamboat” method mentioned in the post above. 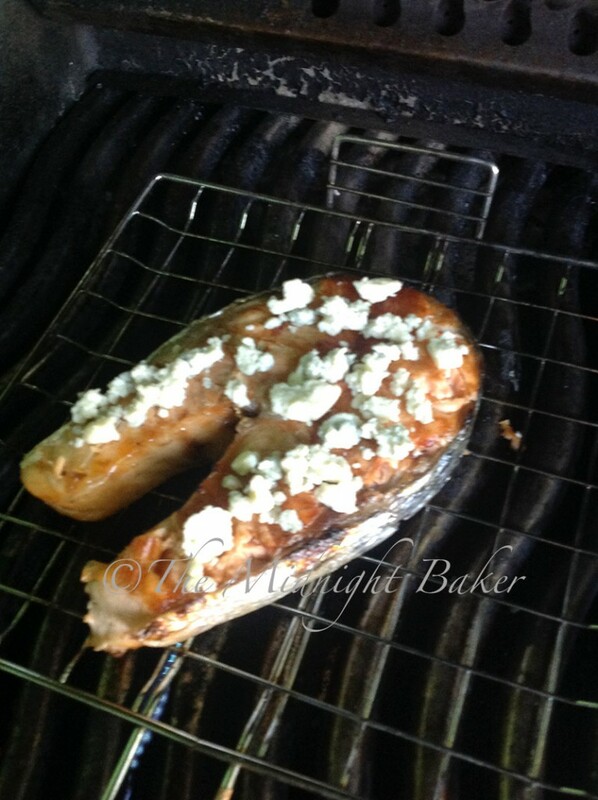 Grill the salmon over high heat for 5 minutes (approximate) each side. 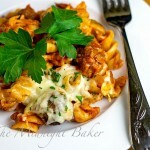 Top with blue cheese, reduce grill heat to low, close the lid and continue cooking for 3-5 min or until cheese is melted. FYI cheese will just melt, it will not bubble or brown. 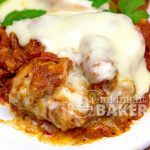 If you want the cheese to bubble and brown, you will have to pop it under direct broiler heat for about 3 minutes.